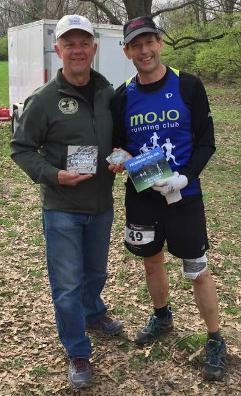 Bob Engel, Greg Trapp, Brian Young, Marty Fritzhand, all wonderful ultrarunning buddies. "Any idiot can run a marathon. 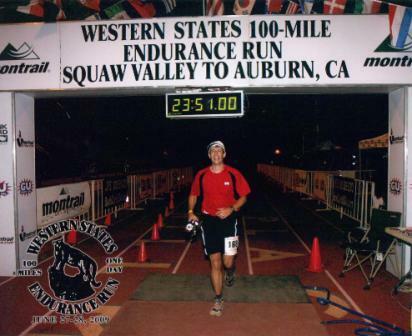 It takes a special kind of idiot to run an ultramarathon." It keeps me in shape, postponing genetically-based health issues. It also gives me opportunities to discover more about myself, what I can do even though my body tells me I can't. Finishing USAF Marathon with a PR, holding the hand of my six-year old son. I want to give back to a sport that has given me so much. tossing electrolyte capsules to a couple hurting runners who weren't in my pace group. I won't call myself a great pacer, but I keep trying. I try hard to get everybody to the finish line in their time by offering a steady pace, advise for the course, and suggestions for water stops. Any tips for runners about to join your group. A great pacer and pack won't get you to your goal if you don't train! I am the race director of a 50k race (www.StoneSteps50k.com) and a 5k in Cincinnati. I want to give back to the sport, and directing a couple races is another way I can do that.